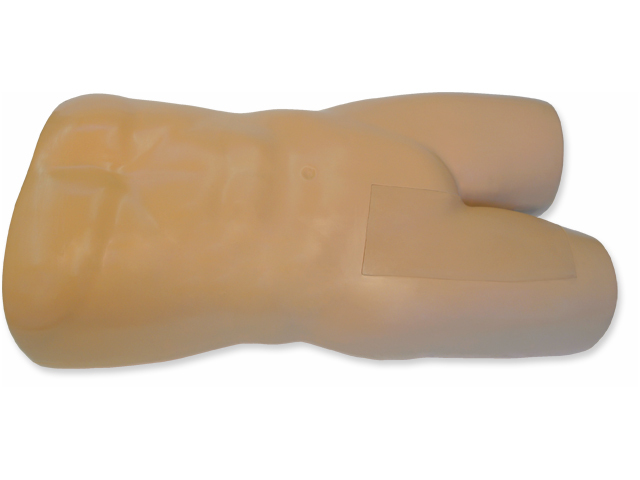 Blue Phantom’s femoral replacement tissue insert is intended for use with our femoral vascular access lower torso ultrasound training model (BPF-1410). The femoral insert is designed using Blue Phantom’s ultra-durable and self-healing tissue. Cannulate the femoral vessels with needles and catheters >1000 times without replacing the tissue (recommended needle and catheter size: 18 – 21 gauge needles and 7Fr triple lumen catheters). 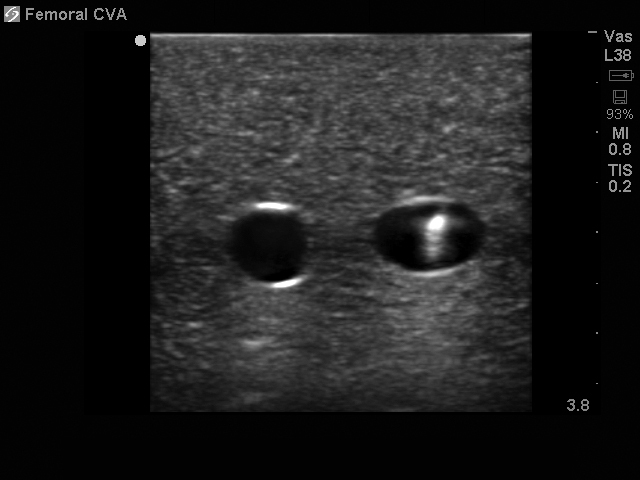 For added training options, users can choose to add a deep vein thrombosis (DVT) to the femoral vein and/or add the femoral nerve for ultrasound guided regional anesthesia procedures. Our patented tissue is extremely realistic – both imaging and feeling like real human tissue. Blue Phantom’s durability offers you the most realistic training environment available anywhere at a low cost of ownership. Blue Phantom = Quality. Our self-healing tissue provides a low cost of ownership. Blue Phantom’s femoral vascular access lower torso ultrasound training model allows users to develop and practice the skills necessary to gain proficiency in using ultrasound to guide needle and catheter insertions in the femoral artery and vein. Our training mannequin is excellent for teaching clinicians the psychomotor skills required for ultrasound guided vascular access procedures. With Blue Phantom’s femoral vascular access lower torso ultrasound training model and your own ultrasound system, users have the opportunity to perfect their ultrasound imaging skills including - ultrasound system controls, transducer positioning and movement, recognition of arterial and venous anatomy, using ultrasound to target the appropriate vessels for cannulation, and performing arterial and venous access procedures. 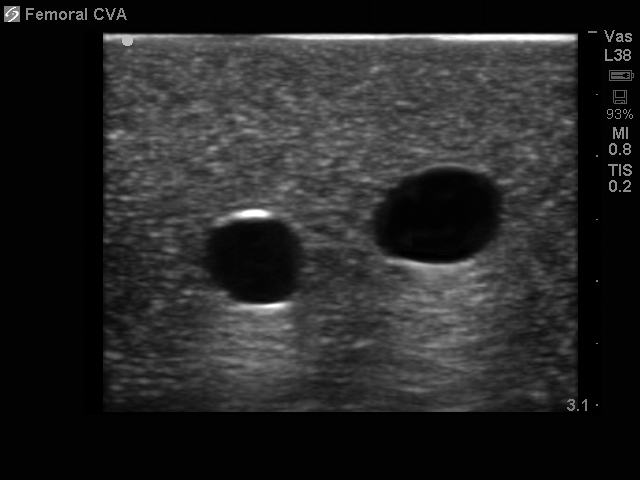 This ultrasound model is excellent for specialties including anesthesiology (anaesthesiology), emergency medicine, cardiology, critical care medicine, radiology, surgery, surgical training programs, ultrasound training programs, simulation centers, surgical skills centers, medical education facilities, and ultrasound manufacturers for ultrasound education and demonstrations. The femoral replacement tissue insert offers anatomically correct vascular anatomy of the lower torso including the femoral vein and artery. The femoral vessels accommodate full threading of guidewires and catheters. 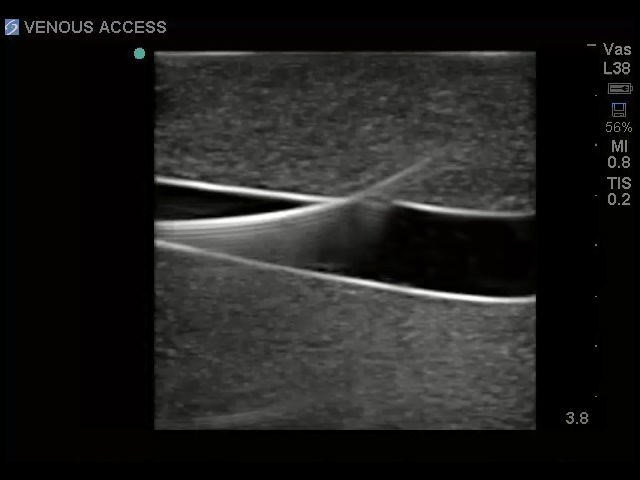 Positive fluid flow in the vessels provides users with immediate feedback when vessels are accessed. 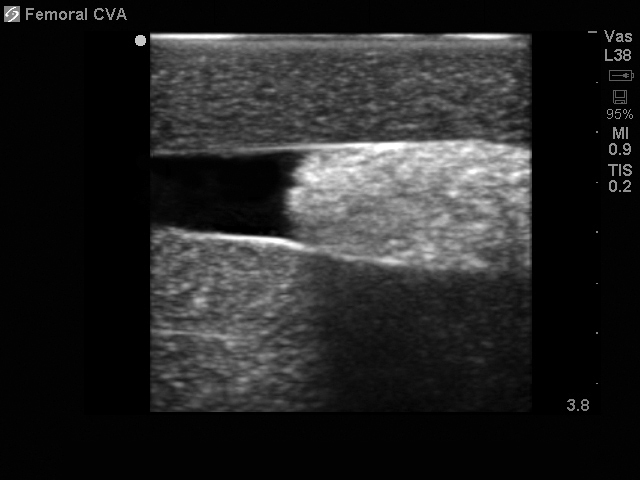 The simulated blood fluids in the arterial vessels differ in color from the venous system allowing users to easily differentiate between successful and unsuccessful vascular access procedures. This medical simulation trainer will perform well using any ultrasound imaging system configured with the appropriate transducer (recommended ultrasound transducer; high frequency linear array ultrasound probe 5.0 – 12 MHz). The femoral replacement inserts are available in three pump configurations– no pump, hand pump, automated pump. 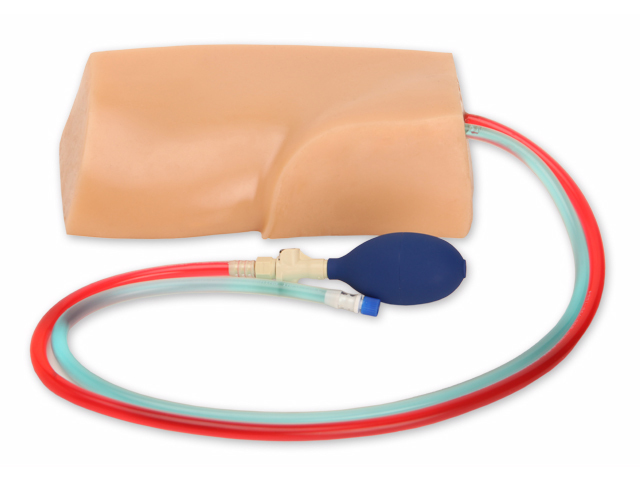 The pump configuration simulates arterial pulsation in your lower torso femoral ultrasound training model. In selecting your replacement tissue, please choose the same configuration as your current model to ensure your replacement insert configures correctly with your existing lower torso trainer. 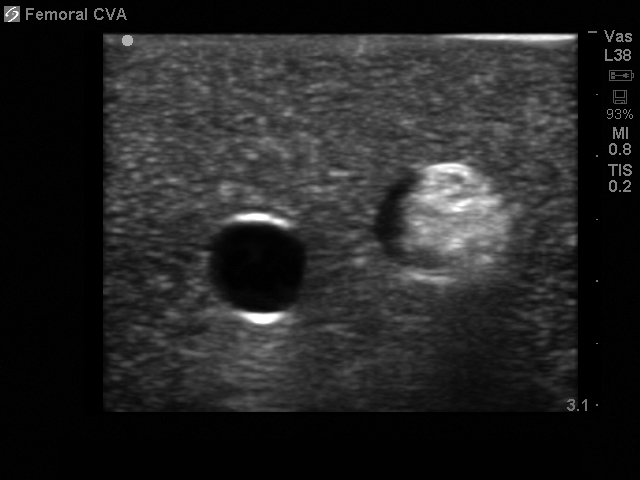 Intended for use with our femoral vascular access lower torso ultrasound training model (BPF-1410). 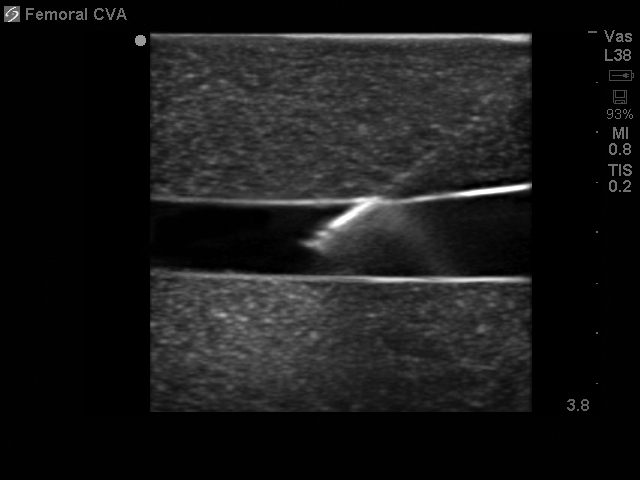 Cannulate the femoral vessels with needles and catheters >1000 times without replacing the tissue (recommended needle and catheter size: 18 – 21 gauge needles and 7Fr triple lumen catheters). 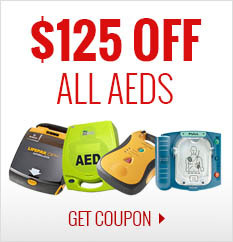 No Pump: This options does not acommodate simulated arterial pulsation. Hand Pump: View arterial pulsations of the femoral artery to assist users in identification of arteries compared to the venous anatomy using a manual hand pump to give users a more realistic training environment. This hand bulb is manually compressed by a secondary user or instructor creating expansion and contraction of the arterial vessels. 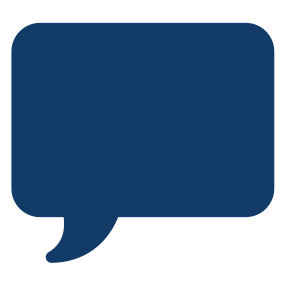 Automated Pump: Please contact Blue Phantom Customer Support to purchase a replacement tissue insert for your Automated Pump model.